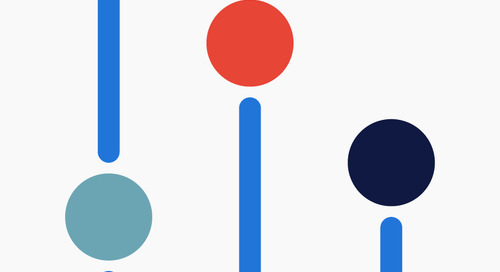 Home » Randstad Sourceright Insights » standing still means falling behind: the continuous learning approach of total talent sourcing. That’s because a calendar year is a lifetime in the world of sourcing innovation. If in October a sourcer is comfortable with the great lessons learned in January, he or she is probably falling behind. There is no time to stop moving forward, and the way forward is through continuous learning. The trouble is, sourcers work in a rich and complex world. We all know job board “post-and-pray” is not going to get it done every time. But of all the new ideas that come out every day, what should we do, and how do we keep up? For the leader of any talent organization, the best answer is to support a recruiting team with a learning and innovation program that covers all the bases, never stands still and is enjoyable and practical to use. That’s the continuous learning approach behind what Randstad Sourceright has evolved as the Total Talent Sourcing Methodology (TTSM). TTSM began several years ago as an educational effort to apply deep search tactics to find hidden passive candidates. 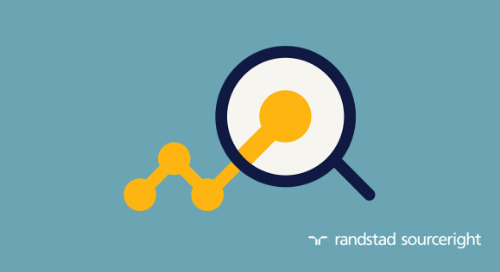 Since then, Randstad Sourceright has grown TTSM into a full-fledged learning framework for everything from advanced passive candidate search, candidate engagement and job posting to the use of technology, veteran recruiting and diversity sourcing. The reason is simple: there is more to great sourcing than finding passive candidates. It’s about knowing what kind of candidate you want, where to look, how to engage and how to tackle the special challenges unique to each recruiting situation. The success of TTSM reveals some key lessons for keeping an entire sourcing team moving forward. Consider these learning factors in your own sourcing ability or that of your recruiting team. They can make the difference in ensuring consistent performance and delivering great talent. Here are some great tips to keep in mind. Make sure your recruiting team receives more than a one-off onboarding training or screening for skills. Many sourcing organizations rely on a core, required skillset but then fall short when it comes to additional skills development. TTSM formalizes the development of progressive levels of skills through a tiered program containing basic, intermediate and advanced levels. This provides a path for full development, and at the same time, allows for a progression in skills that can help in matching sourcers to the right recruitment task. In today’s talent-scarce environment, good sourcers are essential for every requisition, but it’s important to know that your best sourcers, those with the most experience and advanced skills, are working on the most challenging assignments. Remember, not EVERY recruiting target is an elusive “purple squirrel.” The sourcing organization that matches the skills of its sourcers with the level of difficulty in each assignment will have the best chance for succeeding over time. What exactly is there to learn beyond the basics? Most sourcers know the intricacies of their jobs and the need to look beyond the basics, but many business decision-makers may not realize the multiple dimensions of the sourcing environment. There are two facets of TTSM that make it a “total talent” methodology. The first is access to the total talent pool. It has been said that fewer than 30% of the workforce actually consists of people who are active or casual job seekers. That means 70% of the talent pool is either passive or not looking. For many of the more challenging positions, success may depend on a sourcer’s ability to apply big data” strategies and analytics to reveal potential passive candidates. But there’s more to it. Once you uncover a great potential candidate and manage to get their attention, you as a sourcer are now on stage. It’s up to the sourcer to understand the candidate’s needs and use that knowledge to establish trust. It takes great training to bring the “find” and “engage” aspects of sourcing to life, and that’s what is needed to recruit from across 100% of the talent pool instead of the active 30%. The second part of a total talent capability is the use of the total “toolset” of technologies and techniques available to a sourcer. Whether you are recruiting for a high-volume manufacturing position or a unique, hard-to-find engineering role in a remote location, you need to understand all of your sourcing options. In an August 2016 podcast, Randstad Sourceright expert Jim Stroud explored the benefits of microlearning. As he explains, people lose concentration after eight seconds, and most experts agree modern technologies have helped lead to shorter attention spans and trouble with concentration. At the same time, digital technology has caused many people to become more apt at looking up and retaining information delivered in small portions. That’s the impetus behind microlearning. Microlearning has been described as training broken into short focused pieces that are only as long as they need to be. It can be easily consumed. It is easily tracked, less of an interruption on core productive work and results in improved retention and flexibility. It can be a brief video or podcast and focus on one particular skill or idea. While microlearning is not a core element in TTSM, it is a good tool used to enable sourcers to brush up on everything from advanced search to using the latest news events to inform better strategies. Is a big technology company announcing a layoff? Now’s the time to look at the newly available talent. In fact, microlearning is just one type of content made continuously available to sourcers in a learning-intensive environment. Lunch-and-learns and more traditional webinars are also part of the mix. These are all focused on being practical and painless. There is no substitute for hard work when it comes to maintaining sourcing skills, but most sourcers would agree that keeping ahead should also be new and fun. It’s part of a passionate sourcing culture. is your talent team bringing together the moving parts? An always-advancing skillset is the key benefit of the learning culture brought about by our Total Talent Sourcing Methodology. For any sourcing organization, the lessons learned in developing and growing the TTSM approach over the years can apply. Cover all aspects of sourcing. Build a framework for learning that spans beginner to experts. Provide a constant flow of easily consumed, continuous learning opportunities. There are many moving parts to a high-performance recruiting organization, and the right learning strategy can be critical for ensuring that those parts work together and are always moving forward. When it comes to learning and innovation, in a talent-scarce environment, there is no time for standing still. to unlock the complexities of sourcing in Asia, look to an outsourced solution.